There are certain words that come to mind when you think of Jean Georges. I think of elegant, sophisticated, Michelin star, contemporary and smart. I’m soooo excited to bring you this next post! Jean Georges is definitely not new to the Shanghai restaurant scene. 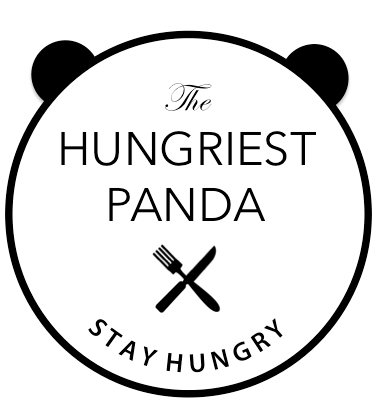 He’s been bringing Shanghai delicious, elegant dining since 2004 with his flagship restaurant located at Three on the Bund, Jean Georges and Nougatine by Jean Georges which are both his first signature restaurants outside of New York City. 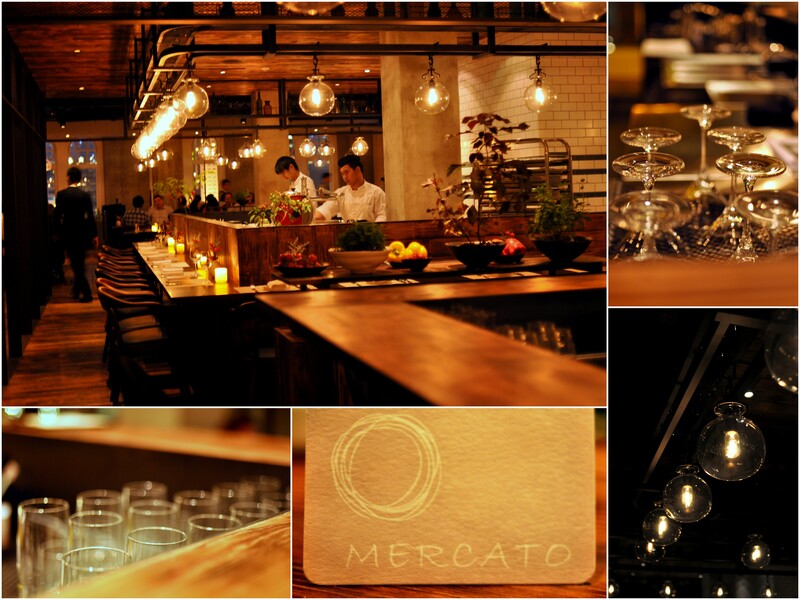 And now, his newest addition, also located at Three on the Bund is Mercato, serving ‘Coastal Italian’ cuisine. When the buzz about Mercato started my husband and I just COULD NOT wait to check it out! We were even more ecstatic to hear that it was based off the popular restaurant ABC Kitchen by Jean Georges which we love! 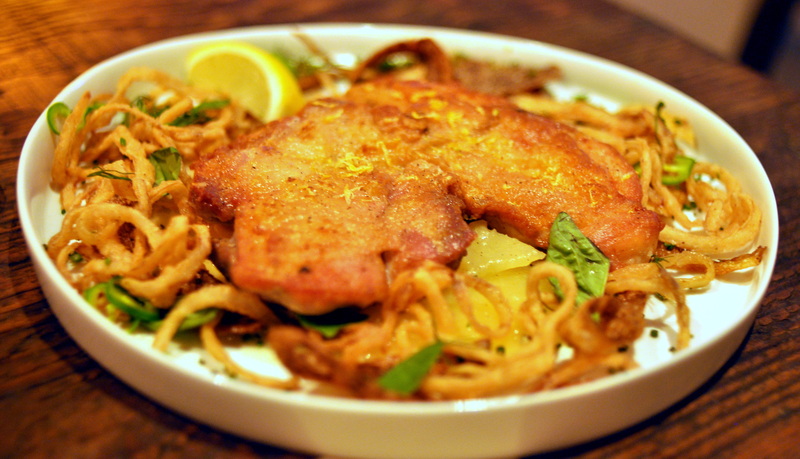 ABC Kitchen is about using fresh, local seasonal ingredients and so is Mercato. Perfect timing, Mercato was opening around my husband’s birthday so I called to book the best table in the house. When we first arrived I was immediately impressed by the look and feel of the restaurant. This place instantly transported me to New York City. The open ceiling industrial look, combined with the rustic dark wood floors and tables and dim lighting all flowed so well together. I love long wooden tables. This place was chic. The location of this restaurant is so appropriate. You’re right on the river and the beautiful lights on the Bund really shine through the big glass windows. I always think a restaurant knows what they are doing if the bread is good. It’s the details that matter when you’re in any service industry. We were off to a great start! And look at our view! It’s the Oriental Pearl Tower! We were ready to make this a special evening for this special occasion. 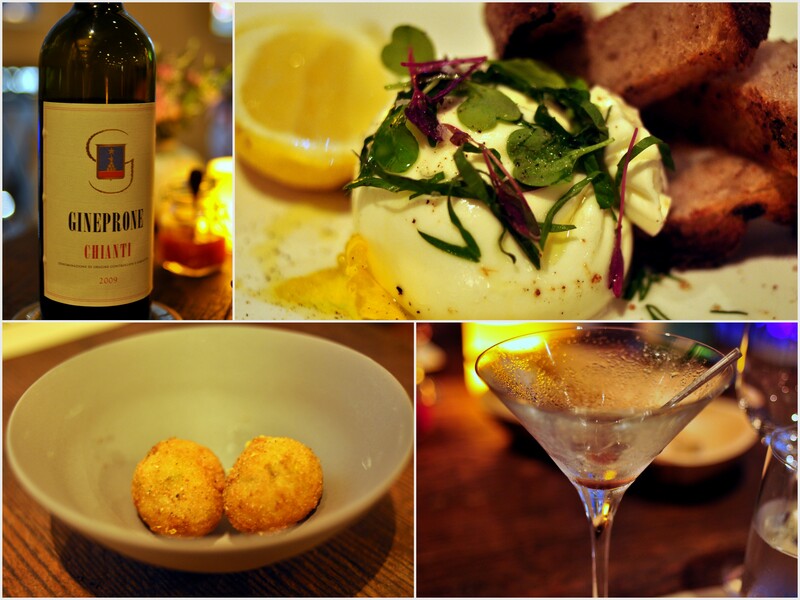 We started off with some cocktails and they sent out Arancini Di Riso – crispy fried risotto balls, on the house! Now for some bad news. It was not long after we arrived where my excitement wore off. The inevitable happened. 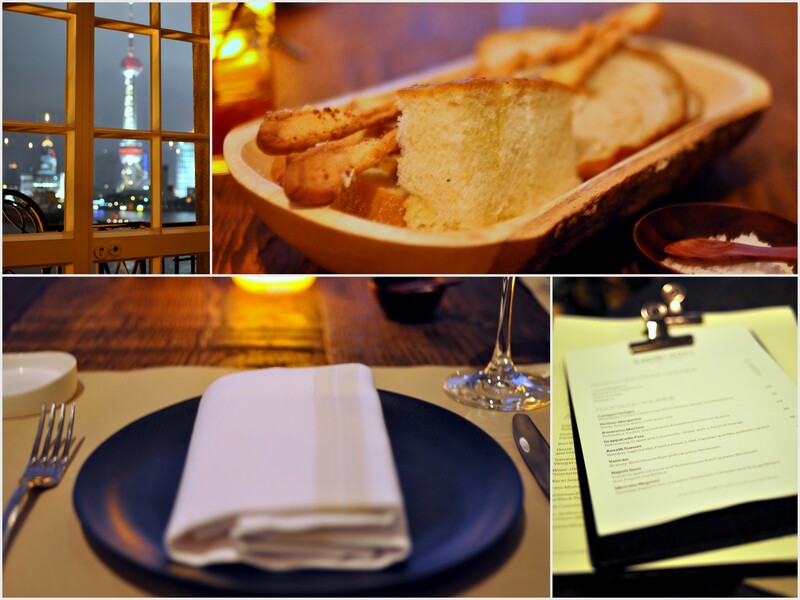 The curse of Shanghai’s hospitality industry. Service dwindled…severely. Unfortunately it really effected my mood and even my palette. Ok I’ll spare the specifics to save myself from sounding like a bitter old lady but in brief the food took FOREVER and the servers and managers we spoke to were rude. I would say there was barely any service at all. Ok back to the food. We ordered the Burrata Cheese with Chopped Herbs and Sea Salt RMB 118. Burrata is young fresh mozzarella cheese and it’s creamier in texture than regular fresh mozzarella. So soft and buttery. If there is burrata on a menu, please order it. Always order the burrata. 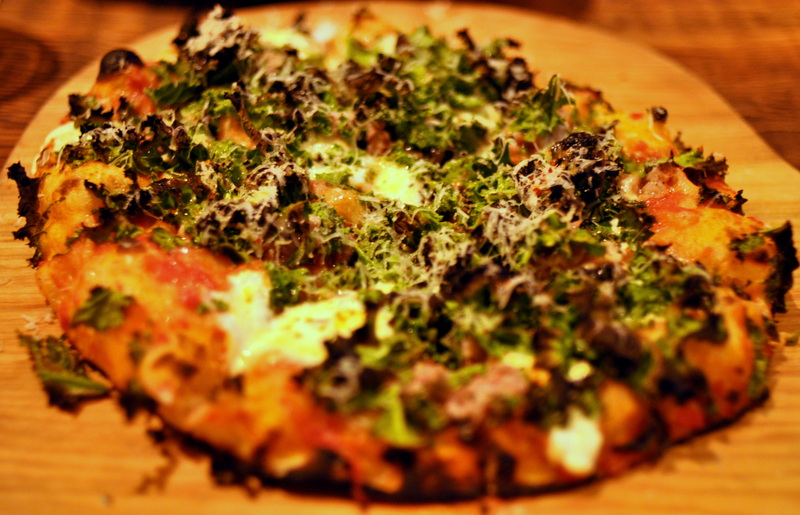 Spicy Pork Sausage, Kale and Pecorino Pizza RMB 118. Kale is my most missed vegetable from the US. Where do you get kale in China? I love a kale caesar salad. If there is kale on the menu….you better order it. I’m bossy. I love the addition of the crispy kale on this pizza. Crispy Skin Chicken, Braised Potatoes with Lemon and Olive Oil RMB 128. 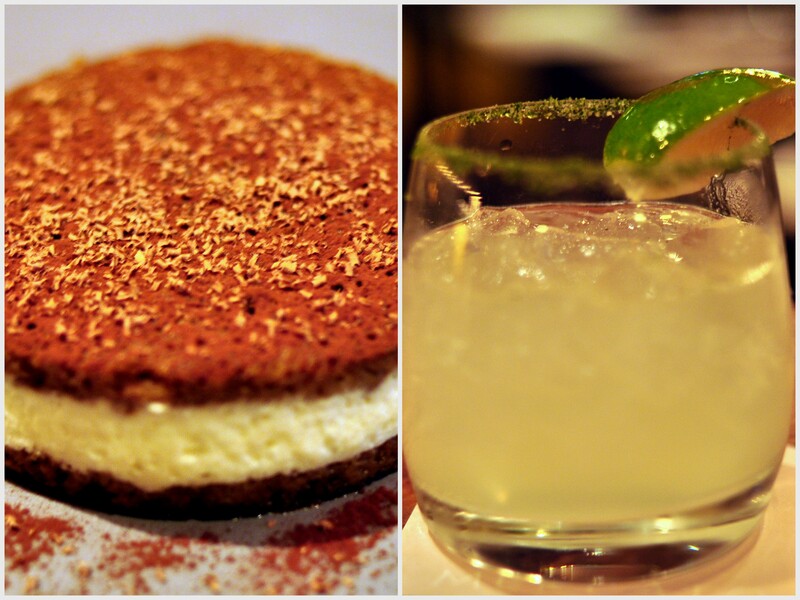 We ended the evening with Tiramisu RMB 58 and then moved over to the bar for a tasty spicy margarita. I actually didn’t like the tiramisu. I felt like it needed a crunch in there somewhere and was hoping for a fun twist. But it was pretty average. Although there were some bumps in the road for the evening, one saving grace was that a different manager came to say hello to us at the bar and we mentioned the disappointment of their service. He comped our drinks for us which was very nice of him. Overall I really liked the food but the service left a bad taste in my mouth. I guess for such a high profile name restaurant I expect better execution no matter what city you are in. But I want to give Jean Georges the benefit of the doubt and come back again after their “soft launch”. 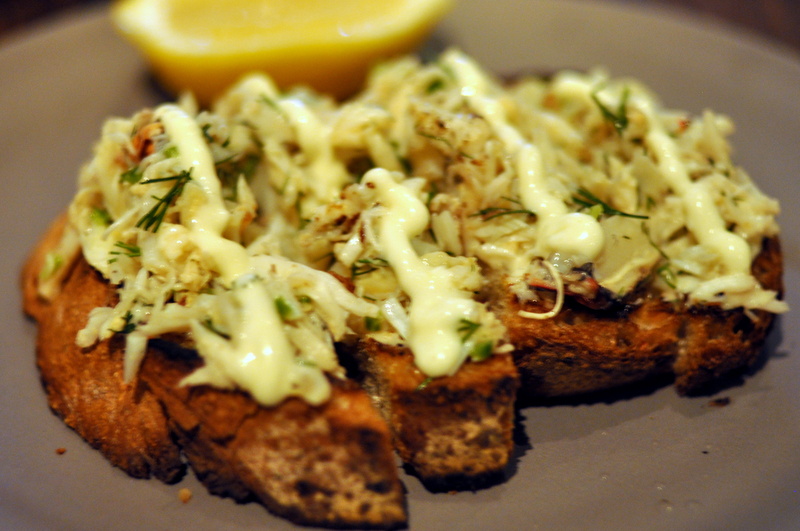 Please check out my Mercato by Jean Georges (revisited) review.